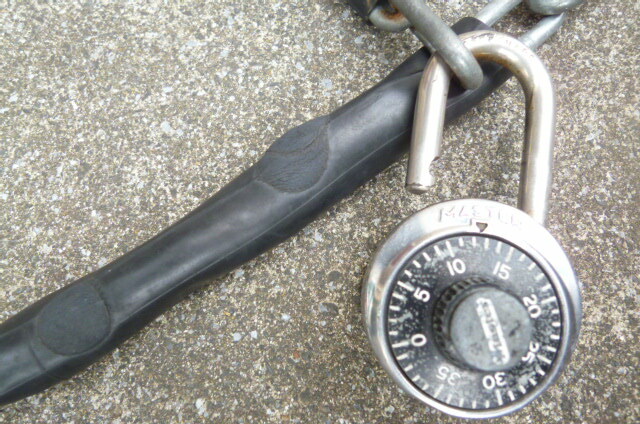 Here is a real beauty with an equally beautiful story. 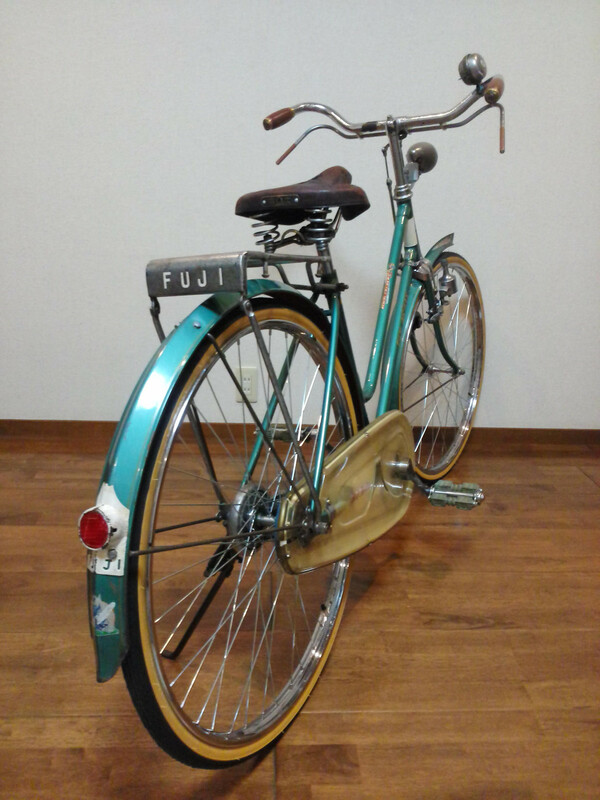 This is an extremely rare Nichbei Fuji Feather lady's high-end model. 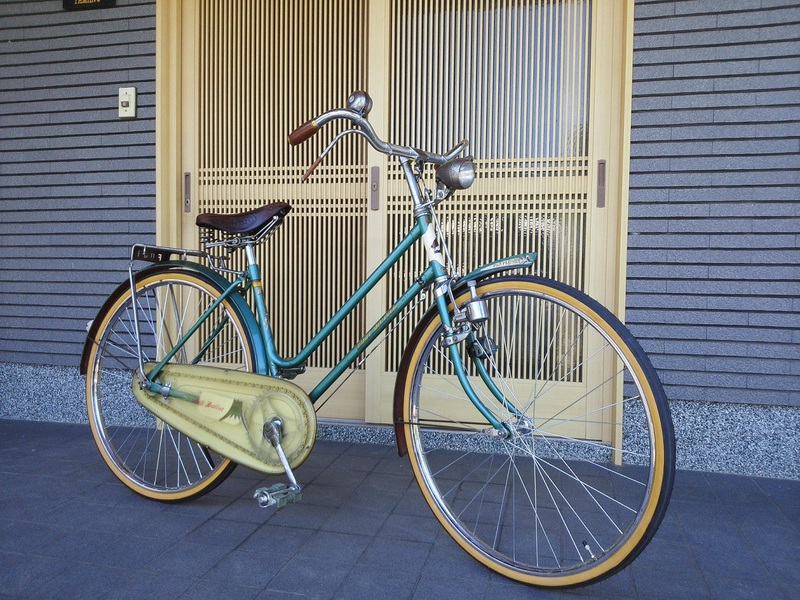 The original owner, Ms. "Y", a woman from Chofu City, Tokyo, received this beautiful bicycle as a present from her dear husband the year they were first married back in 1958. 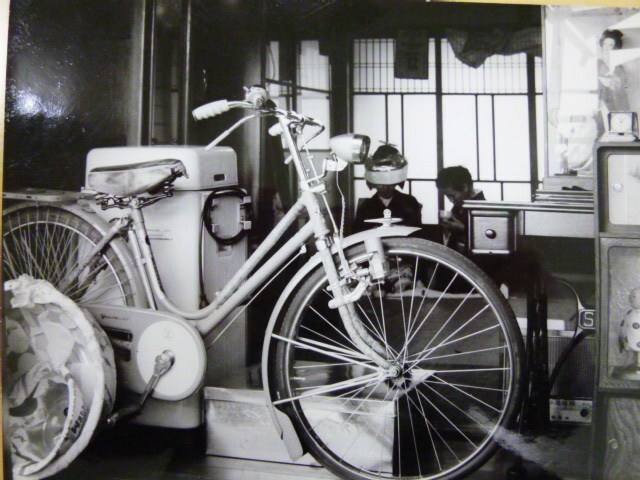 These photos are courtesy of a bicycle shop proprietor who lovingly restored this wonderful machine at the request from Ms "Y" to rekindle the fond memories of her beloved late husband. 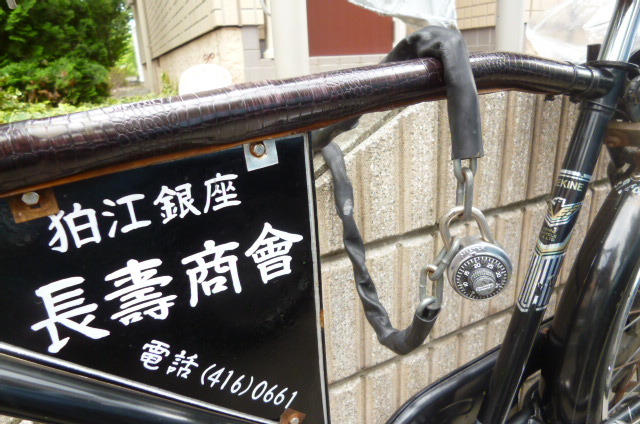 Bicycles were prized possessions and often part of a new bride's dowry as can be seen in the above photo which shows the dowry items in the foreground and the new bride in the background dressed in traditional Japanese wedding attire. There are far too many details to cover in one post so let's look ar this beauty as a whole, and, in the nextcouple of posts look at the amazing details. 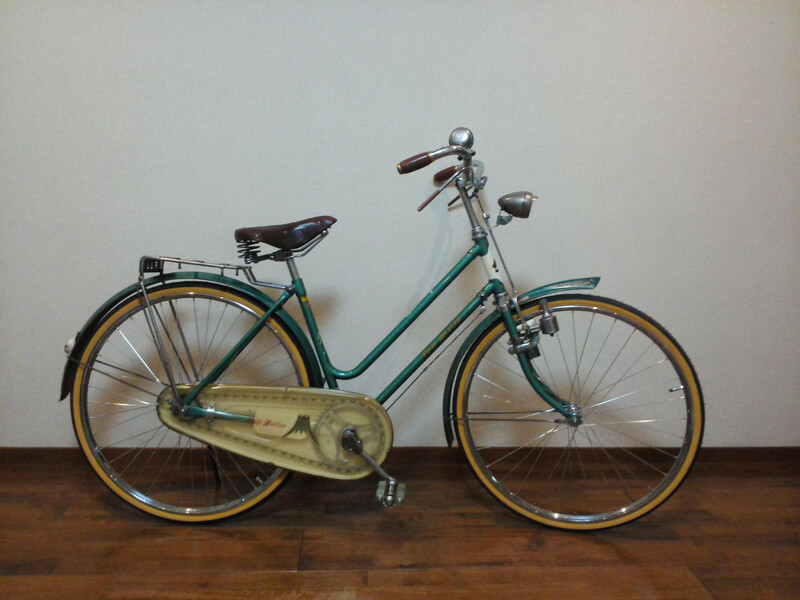 First, let's take a look at what the bicycle looked like before the restoration. 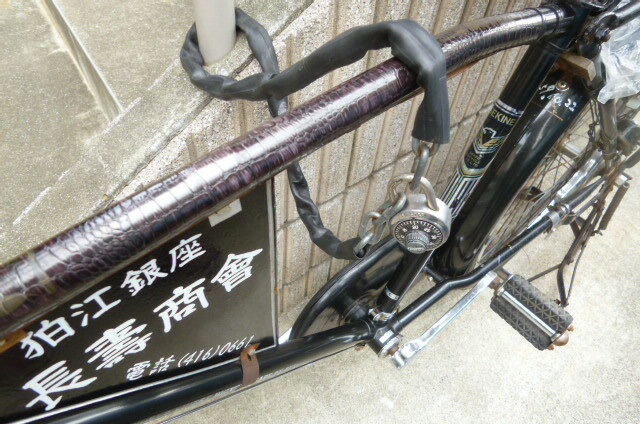 Compare these with the first photo in this post and it is hard to believe it is the same bicycle! 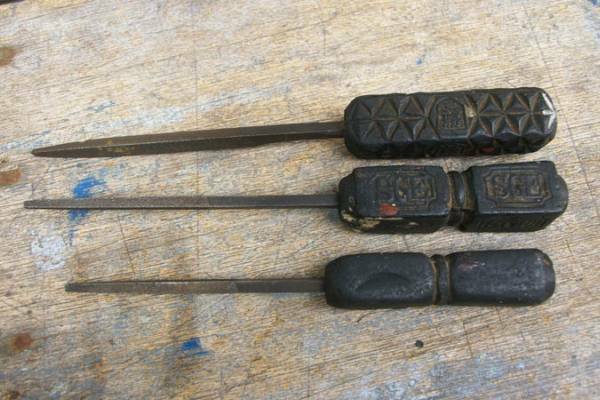 As I have repeatedly mentioned in this blog, "they don't make them like they used to". 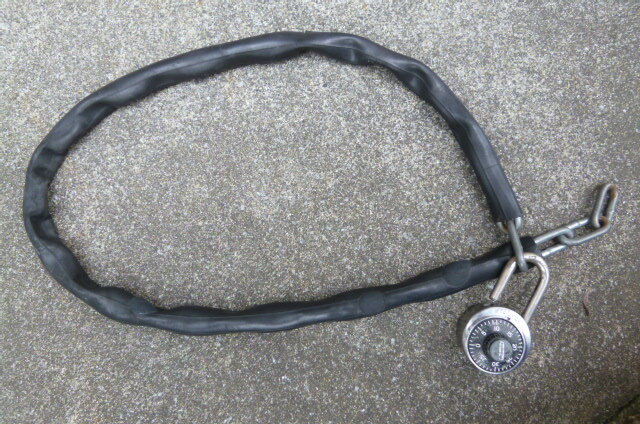 The paint is original along with the vast majority of the parts. 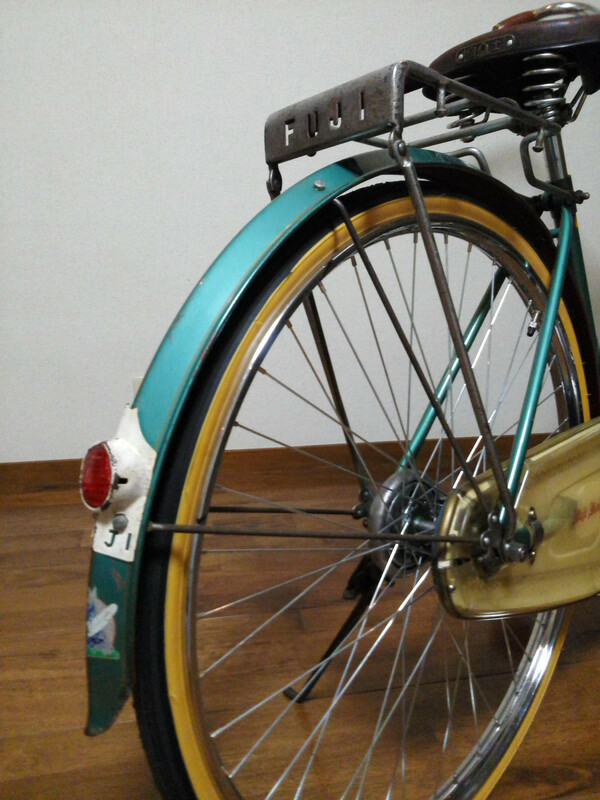 A rare and exquisite emerald color, accented with white at the head, chaincase and rear reflector (Japanese only). 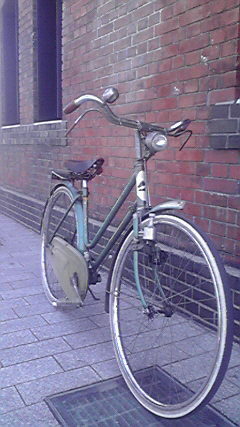 Note the eye-lid lamp, revolving bell, high-end handlebars with celluloid grips and celluloid coated levers. Look at the paint. 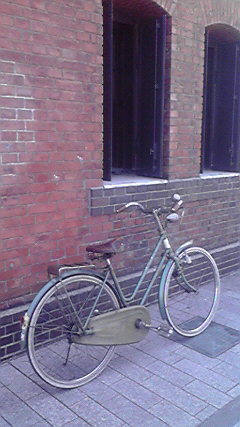 That is what I love about these old bicycles the quality is so good that the original paint can be brought back to life. 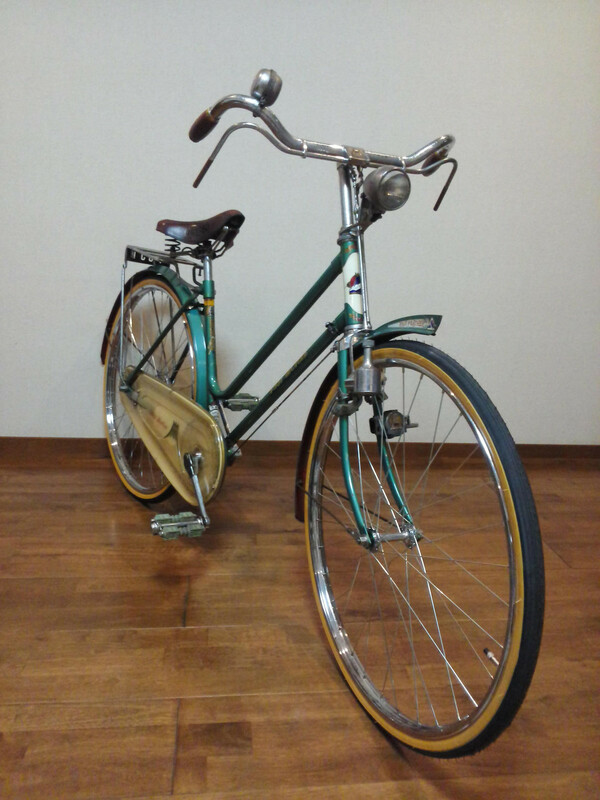 In the next English post we will take a look at the unique details of this truly rare and wonderful model, produced over a half century ago and looks like it rolled out of the bicycle shop yesterday.